Much like her namesake she’s a rarity: a long sleeved gown with the grandeur of a full skirt can be hard to find, but in Pearle Mia Solano has created a gown that hits all the marks and satisfies even the most discerning of brides. With an illusion neckline and deep sweetheart bust her slightly elongated bodice, fitted and fastened with a zip descends into a dramatically full skirt that extends into a suitably grand train. Creating a lasting final impression, the line of her low back is elevated by a fully enclosed illusion back bordered by lace appliqués placed with purpose. 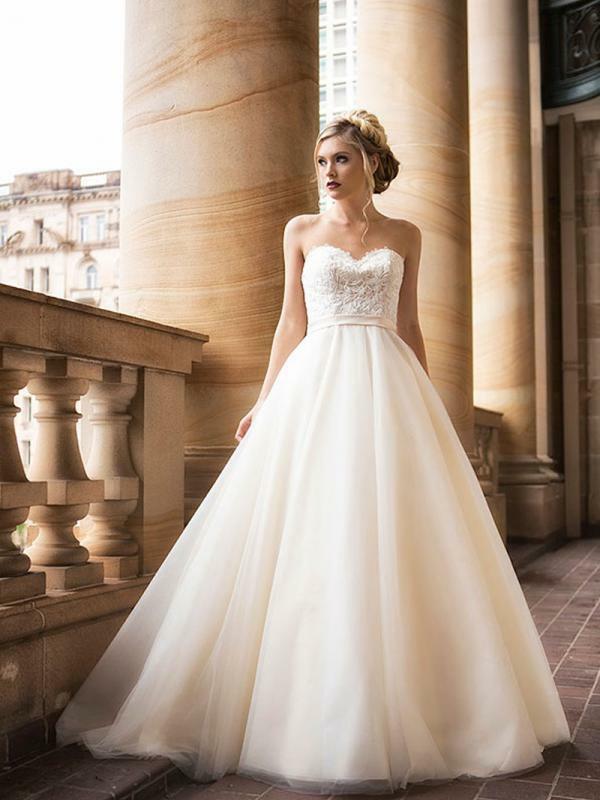 An elegant and regal choice for an uncompromising bride, Pearle is a gown for the ages.